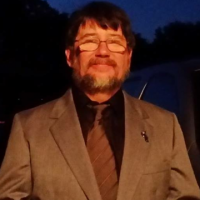 Pastor Jim has been ordained since 1988 with the Church of God, Anderson, Indiana, a movement of churches who believe in the power of Jesus Christ to transform lives who are “fully devoted and totally surrendered” followers. 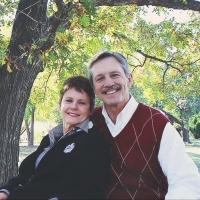 He is an experienced “church planter” and planted and pastored a church from 1987 until 1996 and in 2004-2005 served as the “State Church Planter” of the Church of God, Oklahoma while helping (5) churches launch and establish ministries in various Oklahoma communities. by establishing Christ at the center of every heart and every home”. Former Associate Pastor Gary Cannon joined our pre-launch staff in 2014 and had a strong vision for ministry to those suffering through tramautic illnesses like cancer and those fighting addictions and life altering battles. The result of this vision is what we call THE LIGHT MINISTRY. It is what we classify as the “intensive care unit” of this spiritual hospital called Legacy Church. We will develop a strong group of ministry-minded people who will come around those who are suffering through these battles and bring the “light of Jesus Christ” to spread hope, share help and surrender for healing in Jesus name! Gary went to be with the Lord on December 10, 2016 following a long battle with cancer.